U.S. Customs and Border Protection (CBP), the nation’s largest federal law-enforcement agency, has a long history of violating constitutional and other rights of both immigrants and U.S. citizens. For example, agents of the Border Patrol (a component agency of CBP) are known for regularly overstepping the boundaries of their authority by using excessive force, detaining people under inhumane conditions, and using coercion and misinformation to remove people from the United States. To make things worse, those abuses rarely result in any serious disciplinary action. This is one of the main findings of a report the American Immigration Council just released. In 2014, the American Immigration Council issued a report titled No Action Taken, which revealed how unaccountable CBP was when acting on complaints of personnel misconduct. After the release of that report, CBP leadership made public statements about their intentions to improve their handling of complaints. However, the new report shows that the agency has made little progress since then in its efforts to improve accountability. The data analyzed in this new report includes 2,178 cases of alleged misconduct by Border Patrol agents and supervisors that were filed between January 2012 and October 2015. These cases range from instances of verbal abuse, to theft of property, to physical assault. The number of complaints filed varied widely by location. 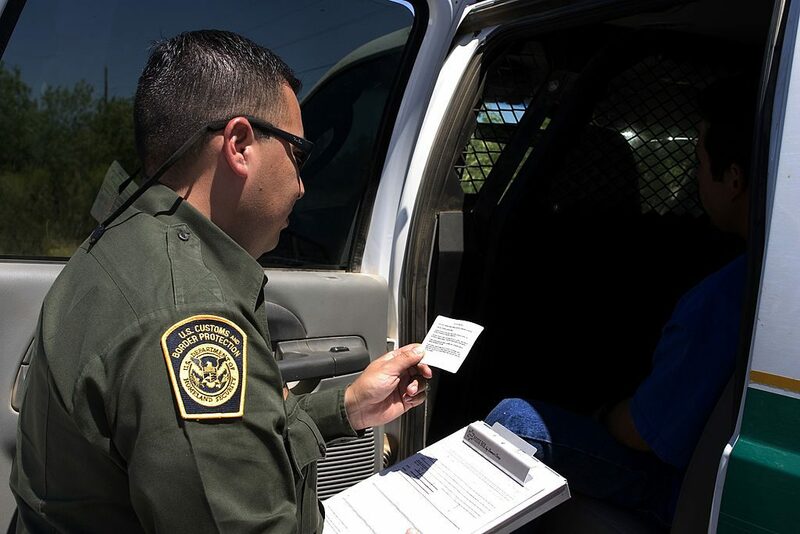 The most complaints were filed against agents in the Rio Grande Valley (Texas), Tucson (Arizona), and Laredo (Texas) sectors. Collectively, these three sectors accounted for more than 80 percent of all complaints filed. It is not surprising that the Rio Grande Valley and Tucson sectors registered more than half of all complaints given that these are the sectors with the highest number of apprehensions. Not surprisingly, more complaints were filed in sectors with higher levels of unauthorized immigration. As a result, “complaint rates,” rather than absolute numbers of complaints, provide a more accurate picture of the state of affairs along the southwestern border by accounting for differences in migration flows. When complaints per 100,000 apprehensions were calculated per sector, the highest rates were in the Yuma, Big Bend, and El Paso sectors. And when complaints per number of Border Patrol agents per sector were calculated, the highest rates were in the Rio Grande Valley, Laredo, and Tucson sectors (meaning that these were the sectors with the highest number of complaints per 1,000 Border Patrol agents). CBP should closely monitor those sectors to determine why the complaint rates are significantly higher compared to other sectors. Overall, the data analyzed in this report raises concerns about misconduct throughout Border Patrol sectors, and what CBP has done to address these problems and improve accountability. And while the data provided by CBP does not offer sufficient detail to determine whether or not the complaints had merit, the fact that so many seemingly serious allegations resulted in no action is a cause for concern.